Normally, I take pains to not give away spoilers about a movie. From movie trailers to the movies themselves, the element of surprise is a wonderful thing. That said, the following trailer featuring Amy Adams and Jason Segel for a romantic comedy dubbed “Green With Envy” is a pretty standard affair, until the “starring…” credits kick in. 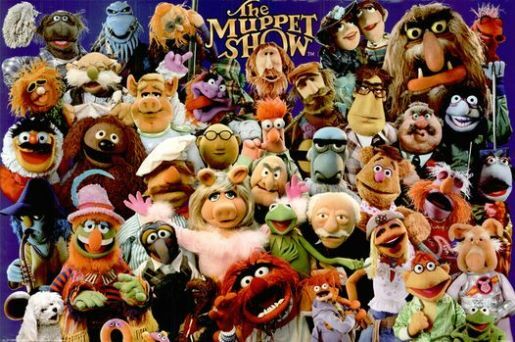 You get the lovely Adams and wonderful Segel, and then you get the movie’s real stars… Kermit the Frog, Miss Piggy, and the rest of the Muppets gang. That’s right, Disney’s The Muppets gets its first trailer! I have to say, it’s about time! With the big reaction these characters still get, they were overdue for a movie revival, and Jason Segel is the man for the job. I mean, 40-year-old puppets became a viral video sensation two years ago! That’s not an easy thing to do, even with nostalgia on your side, but The Muppets have officially made a comeback in a big way, and I for one am wordlessly excited for it; I’m so excited, I can’t help but spoil the trailer’s twist for you.